Enterprise social media marketing is a totally different animal than social media for small business or startups. There are regulations. There are multiple teams and countries and product lines. One wrong Facebook post can set off a firestorm of controversy. So, of course, managing an enterprise social media team is complex. On one hand, you want to make sure that teams aren’t weighed down by bureaucracy. 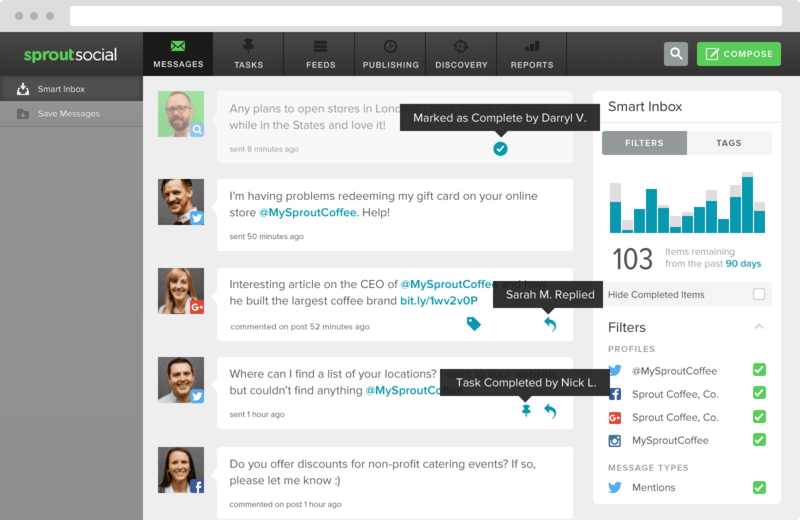 But on the other, you need to track the results from every account to see where you can optimize spend and content. If you’re a news organization with 50 different reporters, a Fortune 500 with a dozen business units or are a company that handles 100 separate product lines, social media channels proliferate quickly. Customer data is coming in from all directions and it’s rarely kept in one place. To make sense of it all, you have to make sure that everyone on the social media team is data-driven. When every team member makes it a priority to measure success with the same metrics, you can compare the effectiveness of every single piece of content shared by every channel. A lot of times, different teams will track different metrics. 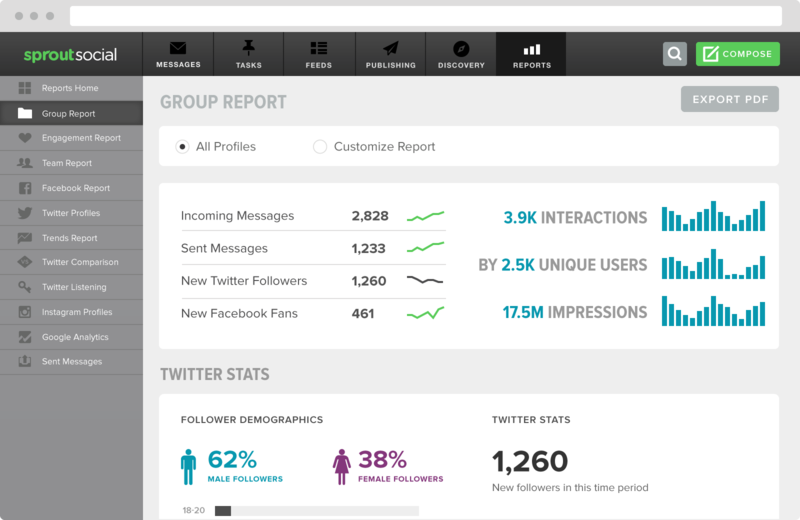 Social media analytics tools offer a plethora of stats to users. Some are useful–others are not. It all depends on what you’re trying to accomplish. 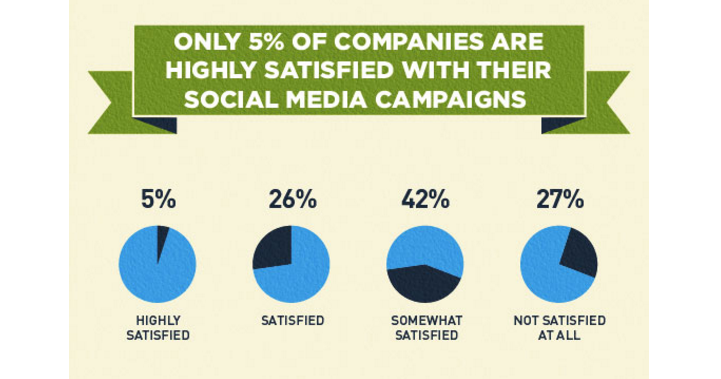 According to Go Gulf, only 5% of businesses are “highly satisfied” with their social media strategy and overall campaign. This means more attention has to be placed on collaboration and social media team planning. The head of the social media team needs to decide what the bottom line of social media success looks like and communicate that to every stakeholder across every line of business. That will guide the cross-functional strategy of how each team across the organization uses and tracks social media, too. If there are multiple leaders of the social teams, build out a committee that can guide the conversation about priorities and goals. Once you’ve decided what you’re trying to achieve with your social media marketing strategy, decide on the metrics you can use across every team and every social channel. In most cases, you’ll want to look past channel-specific metrics (likes, pins, Tweets, etc.) and focus on universal metrics (clicks, traffic referrals and conversions). When you have one or two core metrics, then you can compare that data across all the different channels your team is measuring. This gives everyone the opportunity to compare and contrast output and outcomes. If you don’t have one place to monitor all of your social efforts across regions, product lines, teams, business units and paid and organic efforts, there’s no way to figure out what channels are working. Worse, you can’t really figure out what content is working. If you’re not sure what content is really resonating with the brand’s audience, one business unit could have a highly effective strategy or content that they don’t end up sharing with the rest of the company. Look for social media analytics tools that offer a way for all of your team members to create a user seat and track the performance of their content. To create a data-driven culture for the team, start having regular meetings to cover the metrics for all social media efforts. This can also help make sure that everyone is familiar with the tools being used to track success. By empowering every member of the team with access to easy-to-use analytics tools, you can ensure that everyone can keep track of their own performance and see the impact of their efforts across the board. On average, CMOs rate the integration of customer information across purchasing, social media and other communication channels at a 3.4 out of 7. Essentially that’s not even halfway to effective marketing integration. It’s up to social media marketers to find out how to fit social campaigns across silos, bridging the gaps between teams and using data to show the value of social in different marketing initiatives. It doesn’t matter if your goal for social is conversions, brand awareness or customer support–you need to constantly stay in touch with the rest of the marketing organization to ensure you’re aligned with everything from product launches to campaigns and brand messaging. When you’ve centralized the social media analytics for your efforts, it’s that much easier to show social ROI to the rest of the company. Of course, it’s always easier to collect data than do something meaningful with it, especially for an enterprise social media team with global reach. But when you build a data-driven culture and have the right process and tools in place, you can revolutionize your social media strategy, content and ultimately, the impact social has on the entire organization. Blaise Lucey: Blaise Lucey is Senior Content Strategist at Bitly. He's in charge of developing and distributing content in many formats and channels. He also works closely with the sales team to coordinate content across the company and establish the Bitly brand across the omnichannel, social, and mobile marketing space. Having worked both on the agency and brand side, he has built content programs from the ground up for Fortune 500 companies and start-ups alike and is passionate about bringing great content to life.